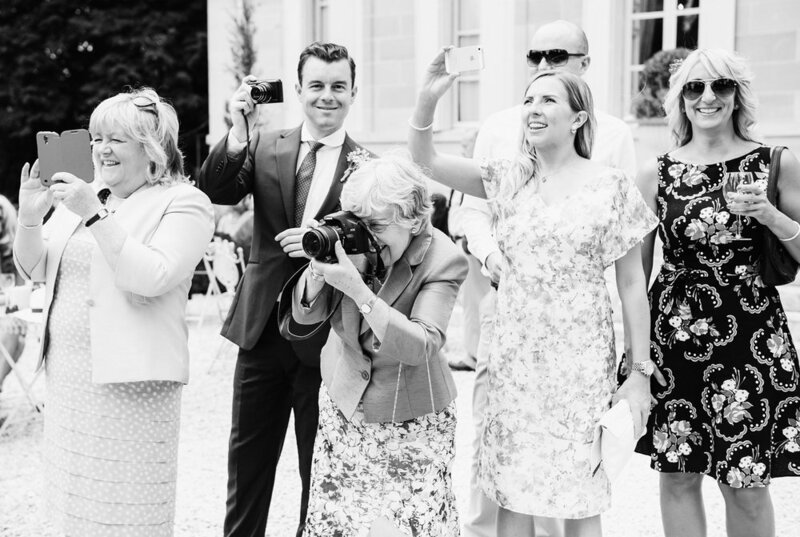 Today I thought I'd share a few thoughts regarding group photos at weddings. They are the shots that often cause the most anxiety for everyone involved in the day (sometimes even the photographers too!) and as challenging as they can seem to organise, for most families nowadays weddings provide a rare opportunity to all get together and as such offer you the perfect occasion to take them. These kinds of images are some of the most important ones that I’ll deliver to a couple and they act as a vital part of your family history. My process is to send out a questionnaire to my clients one month before their wedding. In it, I ask that they list all of the family photo combinations that they would like documented. I print this list out and bring multiple copies along with me on the day. To help ensure that these photos are a quick, fun and enjoyable experience for everyone involved, be sure to read my top tips below! The more combinations, the more time it will take. Keeping the formal list small helps avoid any stress. I would strongly suggest no more than around 10-12 groupings in total. Estimate around three minutes per photo and it should take no longer than around thirty minutes (more if you have large extended families). Natural even lighting and open shade (to avoid any squinting!) is always preferred. I’ll scout the ideal spots beforehand and offer suggestions for both outdoors and indoor options for dry and wet weather scenarios. After the ceremony is the perfect time for your family photos. 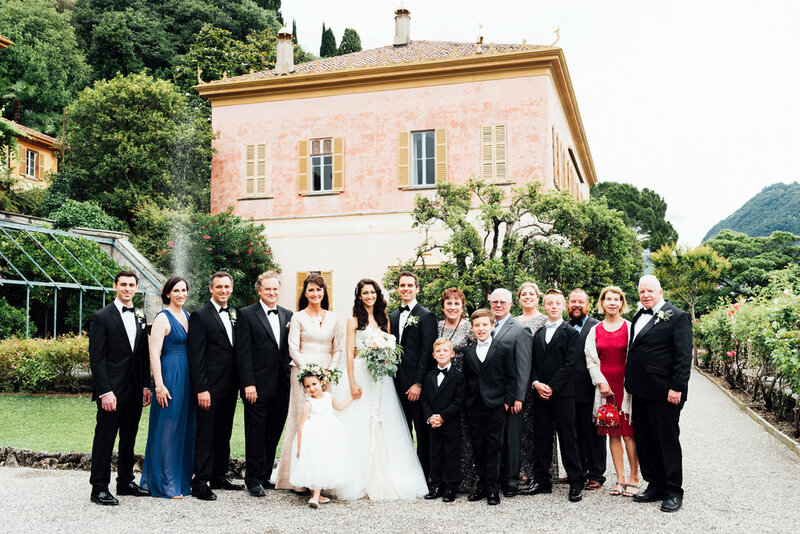 If you’re planning a first look, you may also want to consider doing your immediate family photographs before the ceremony instead to save time later in the day. It is vital that everyone who needs to be present is there during this time. We’ll get through your list easily and with less stress if you communicate your photo schedule to the family members required to participate in advance! Assign an organised family member from each side who can help! They can corral family members who may have gone astray and assist in calling out names (so that you don’t have to!). 6. Relax and have fun with it! No matter what happens - remember first and foremost that it’s your wedding day (yay!) and these photos will be the ones you are sure to cherish for many years to come.